Handmade paper and weavings were incorporated into the very popular Dover Trail. It was a one Sunday show to draw attention to the need for trails and for people to be able to experience nature. 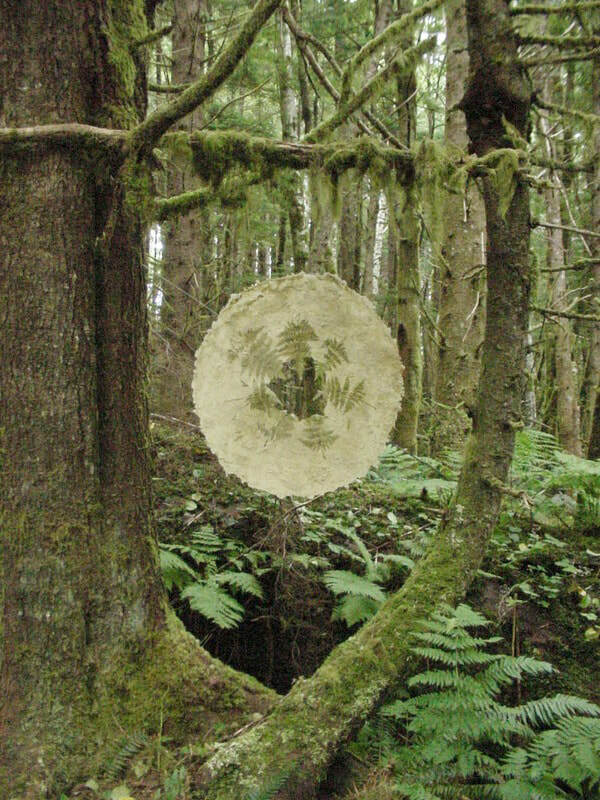 The mandala is made from handmade grass paper and ferns, the leaf curtain of decaying but exquisite leaves, the moss balls set in the stream, root basket hanging from a twig, and a bleached plant paper bowl suspended in the forest. This made the viewer look more closely often seeing something I had not placed there.